Mobile broadband is transforming people's lives. It's reshaping the Internet, the industry, and the society. MBB allows users to freely connect with one another anytime, anywhere. At our "Innovative Solutions" booth, we will share the latest insights and showcase our end-to-end MBB solutions, innovative technologies and new products which will allow operators to build ubiquitous mobile broadband networks offering the best user experience. We will also share new ideas and that will define the future of MBB. Telecom carriers' core services require the support of a high-end storage system. With abundant experience, Huawei storage has entered this core business and kept improving its overall capability within and beyond this area, and has become the prior option for ICT cloud evolution and cloud data center construction. November 21st 2014, the 2014 Gartner Magic Quadrant for Storage shows that Huawei Storage has leaped into the "Challengers Quadrant," sending ripples throughout the industry. "A journey of a thousand miles begins with a single step." Huawei Storage's sprint toward success draws adulation and praise from across the market. Huawei's open cloud strategy involves the open source, open architecture, and open ecosystem. Agile, efficient, and open cloud data centers are the basis to support carriers' ICT transformation. OpenStack cascading meets the demand of multi-site cloud. Huawei CloudCore solution with NFV architecture provides strong support to operators in order to build new, agile telecom networks and lead the cloudification journey for the core network. Even since policy control has been introduced in networks the vision of having a tool that can control data policies in a wide variety of cases has been work on. Today mobile data is no longer only about mobile access i.e. 3G, 4G, but also about mobility among different access networks i.e fixed, WIFI and mobile. This paper describes policy control evolution to meet emerging subscriber demands and changes in network architecture. Multi-access, intelligent traffic steering and SDN and voice evolution are being looked into. 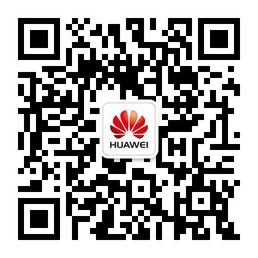 As a user of data centers, Huawei has embraced high-speed service development under the construction of data centers in the past two decades. As a constructor of data centers, Huawei has built more than 480 data centers all over the world, including more than 160 cloud data centers.